Beautiful embroidered pillow used at a Brit Milah (Bris). 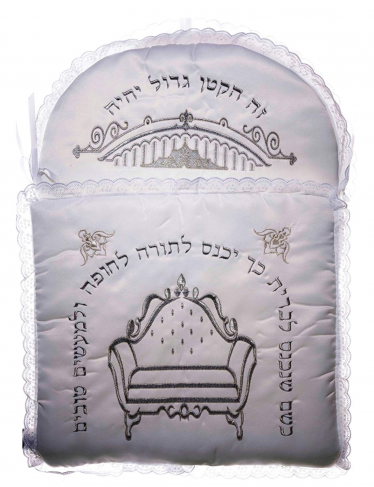 This cotton and polyester Bris Pillow features embroidered silver Hebrew text at the top and bottom and has lace trim on its outer edge. There is an actual pillow to lay the baby on and he can be tucked into it.